This Saturday is when I'm taking my son to the Fresh Beat Band concert. He was super excited when I bought the tickets and now as time as passed he is still excited but he doesn't truly understand how close it is now. The Fresh Beat Band is a show that comes on Nick Jr. and he has always been into music since he was a baby, so he really loves to sing and dance to all of their music. I already know that he's going to have a blast and to add to his experience I got him some glow in the dark sticks for the show and I made him a Fresh Beat Band tshirt to wear that day. He hasn't seen any of this yet. I personally think that the Tshirt came out great! My son's favorite color is green, so I bought the tshirt from Wal-mart. They have inexpensive plain colored tshirts at Hobby Lobby or Wal-mart. 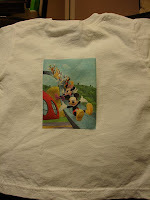 I bought Tshirt Iron On Transfer paper from Office Depot...I got the one for Dark Colored Tshirts. 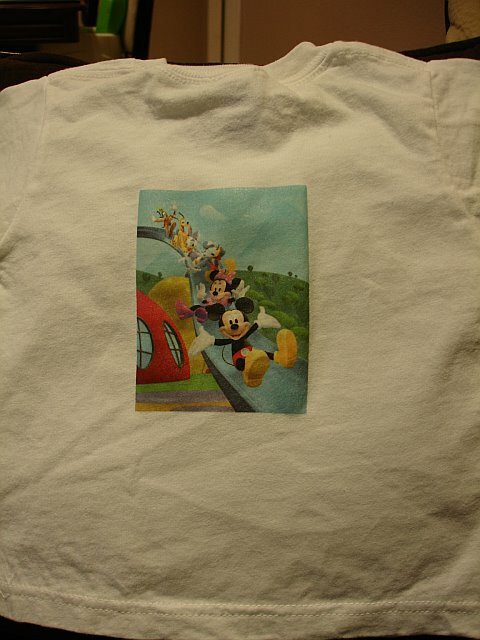 I printed the image from my computer and printer that I have at home and the Iron transfer directions are really easy to do. And whaallaaa....a perfect tshirt for kids! This is a great idea for Kids Birthday party favors as well. 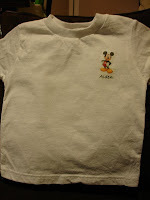 For my son's 2nd Birthday, we did a Mickey Mouse theme and I made tshirts for each child to wear at his party...so every kid had the same shirt on....and again, this was very simple as well....for these tshirts I used the Iron On Transfer paper for Light Colored Tshirts, because I got everyone white tshirts.....Tshirts for toddlers are cheap online....and my son's birthday is in October so I was able to find Tshirts really cheap online. 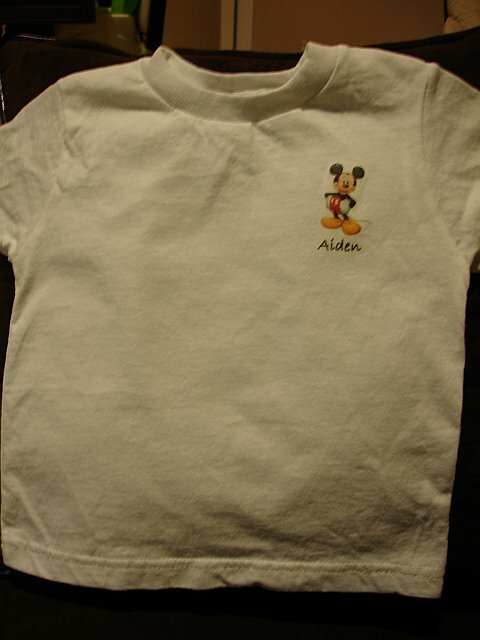 As you can see, I put a Mickey Mouse with every child's name on it and the back was the same for everyone.